Personal care tasks are part of life. As children grow, they tend to want to "do it myself!" Sometimes however, children grow and tend to continue to require continued support to perform self-care functional tasks. Parents, caregivers, and support staff can use varying degrees of verbal and visual cues to encourage independence in personal care tasks, but sometimes it's just not enough. 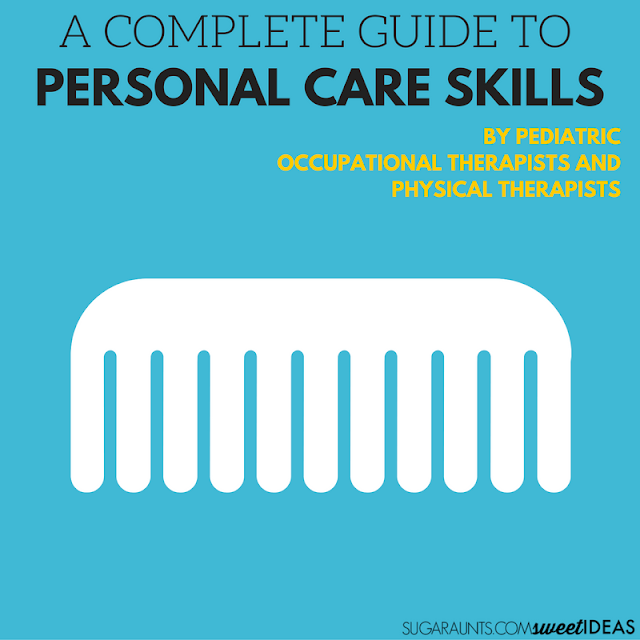 This month in the Functional Skills for Kids series, 10 Occupational Therapist and Physical Therapist bloggers have come together to analyze and dissect personal care skills. Take a look through the links below to find tricks, tips, developmental milestones, and creative ways to encourage independence in personal care tasks. These therapist-approved strategies are perfect for typically developing children and those with special needs. 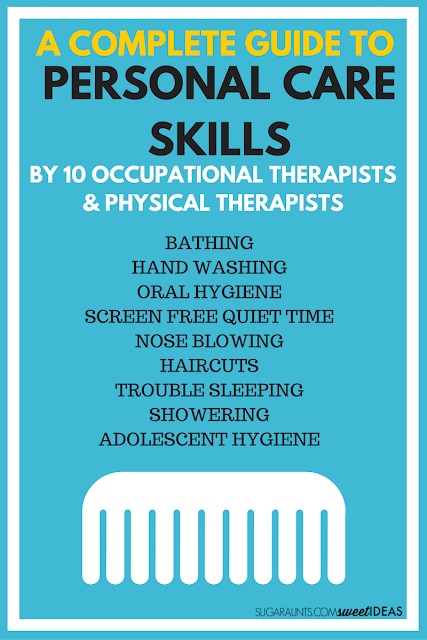 What self-care task is your child struggling with? Let me know in the comments below! Check out all of the posts in the Functional Skills for Kids series to see what else we've covered this year.